Lifeline Canberra - Booklovers it’s time to assemble! Booklovers it’s time to assemble! Booklovers from across the region are eagerly awaiting this weekend when they can finally browse Canberra’s biggest book collection at the Lifeline Canberra February Bookfair! Books hold a special place with all of us, from a favourite childhood picture book, to our first novel we read at high school or the books we read to our children and grandchildren. At our Bookfairs take a trip down memory lane with books from all genres, as well as puzzles, DVDs, CDs, sheet music and so much more! 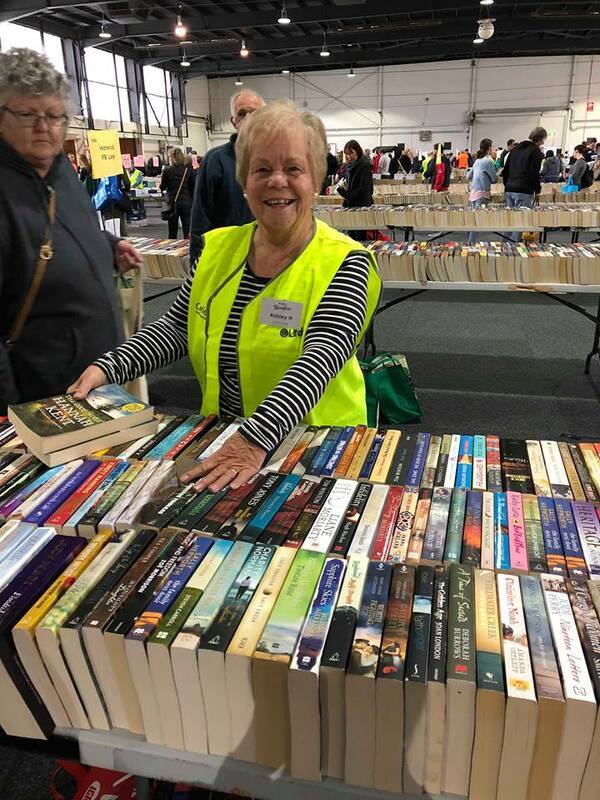 We are inviting all Canberrans to visit the Bookfair on Friday, Saturday and/or Sunday (8, 9 and 10 February), Lifeline Canberra CEO Carrie Leeson said every book purchased contributes vital funds to support vulnerable people in our community. “It costs $26 to take a life-saving call in our telephone crisis support centre. At our Bookfair, this equates to around a handful of books, so every purchase is valuable,” Carrie said. ACT Minister for Mental Health Shane Rattenbury said supporting a vital service such as Lifeline Canberra is important. “Mental health is an issue that can affect anyone in our community. I’d encourage all Canberrans to get along the Bookfair to support Lifeline Canberra, who are the frontline of support for those in crisis,” Minister for Mental Health Shane Rattenbury said today. Sunday, 10 February, 10am to 4pm. Entry is by gold coin donation. With all proceeds go directly to our local 13 11 14 crisis support and suicide prevention service, changing lives for the better.